Old Wounds have announced a brand new single, a music video called "Give a Name to Your Pain," and provided additional details about their all-new LP today exclusively via Alternative Press Magazine. "'Give A Name To Your Pain' was written in some of my most private moments," says vocalist Kevin Iavaroni. "The ones where you seek out your weakness and call it by its name. I give it to you. Thank you for listening." 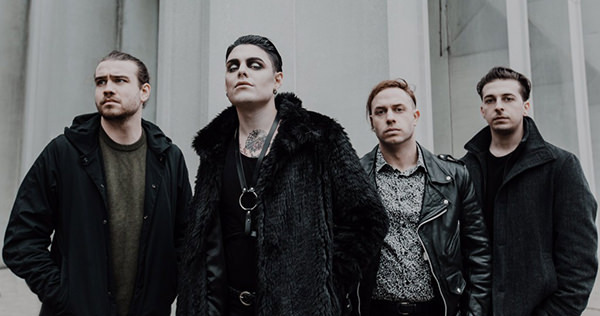 Directed by Bobby Bates, this is the first bit of new music we're seeing from the band since they released "Only Your Enemies Leave Roses" last year coupled with the news that vocalist Kevin Iavaroni was returning to the band. Old Wounds will release Glow on Friday, November 9, 2018, via Good Fight Music. It will be the follow up to The Suffering Spirit, released in 2015. Pre-orders are available now. The band will head out on the road this fall in support of the new LP with See You Space Cowboy and Chamber. Dates kick off in Syracuse, NY on November 2 bringing the band coast to coast before wrapping things up in Pittsburgh three weeks later. 11/17 Oklahoma CIty, OK @ 89th st.